Shadow Check Wool Slacks by Bernard Zins in a subtle pattern of brown/navy perfect for the cooler side of the calendar. 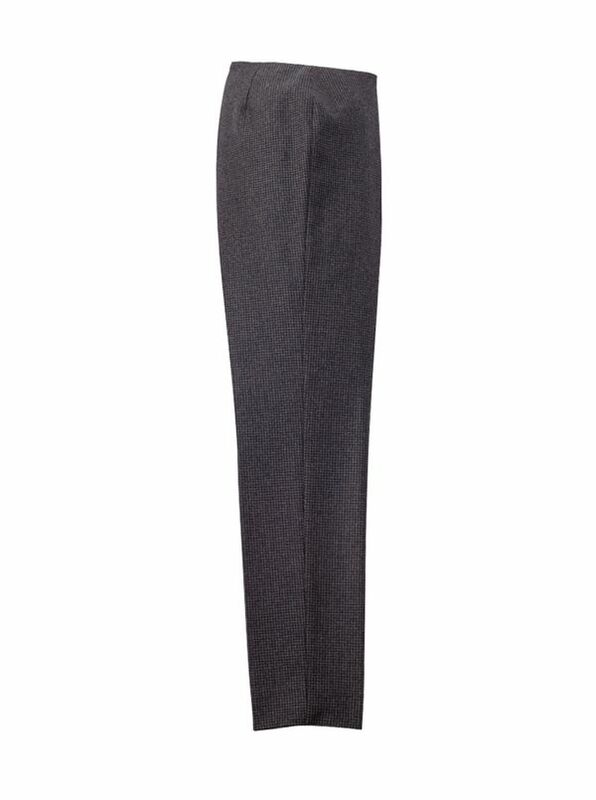 Pure wool twill, beltless model, with front zip, tapered leg, full-length. Imported.